New York turned us into French food freaks. The night we finally found our apartment, we ate at the most perfect little French place in the East Village to celebrate. Mind, almost anything would’ve tasted like heaven at that point. By then, we had spent 3 days trekking around Manhattan in 10-degree weather, seeing upwards of 25 apartments, and dragging my mom and brother along with us. That night began our love affair with the French. The atmosphere, the BYO wine policy, the mouthwatering scents coming from the bustling kitchen, the perfect flavors of every dish, and all of the cold locked outside. No plate was left unclean that night. A more casual French cafe is where I was first introduced to tartines. Le Pain Quotidien is a restaurant and bakery that has locations on the East Coast and in L.A. 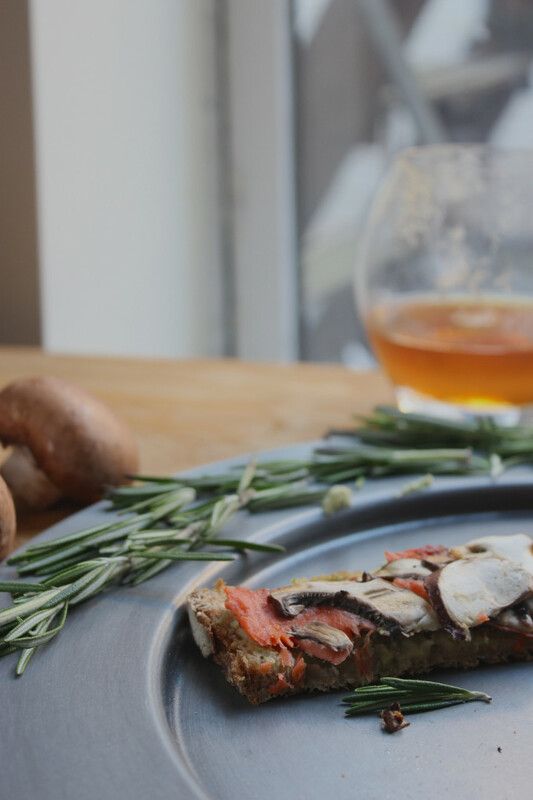 They focus on wholesome food made from seasonal, local, and mostly organic ingredients. Everything they make is done right. Le Pain devotes an entire section of their menu to the delightful open-faced sandwiches, so you know they’re good. As with any other food that I fall in love with, I had to make them for at home after I tried them. They were awesome. Then I decided that I had to share them on the blog, so that’s what I’m doing. For authenticity’s sake, I picked up a loaf of Le Pain’s whole wheat sourdough on my way home from work Friday. It’s the very same bread they use for their own tartines and it is baked fresh, in-house at each bakery. I usually steer clear of wheat, and definitely if it’s not organic, but I occasionally treat myself to some real, whole-grain bread. If you’re 100% gluten-free, I know there are some great bread options that would be just as delicious. 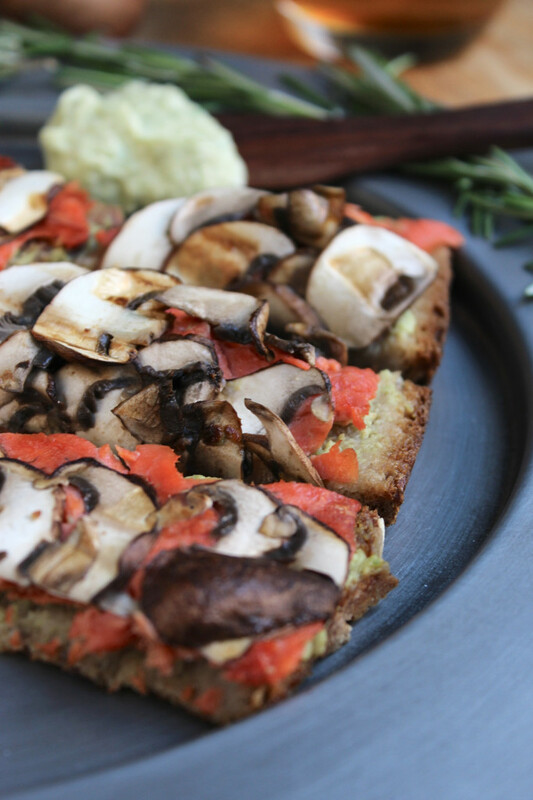 Salmon’s saltiness is the perfect balance to the buttery-tart avocado, crispy bread, and savory cremini mushrooms. In true French fashion, each bite is an explosion of flavor. 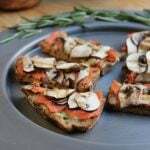 These are great for a special brunch or as a party appetizer. Spread, top, toast, and enjoy. 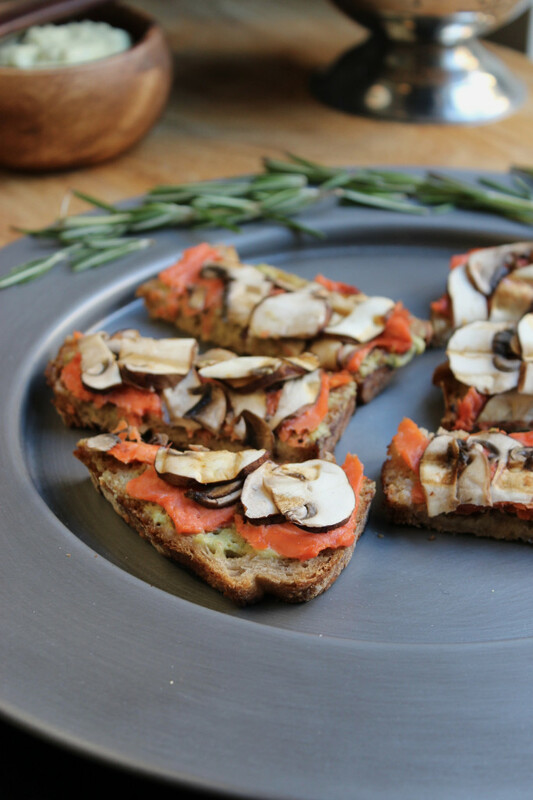 Smoked salmon, mushrooms, and a creamy basil avocado mayo sauce atop gluten-free sourdough and toasted to perfection. Make the basil avocado mayo. In a small bowl using a fork, combine mashed avocados, mayonnaise, lemon juice, basil, salt, and cayenne. If your bread isn’t sliced, slice it into 3/8″ thick slices. At this time slice the mushrooms as well. Oil (Important!) and turn on your panini maker or waffle maker (we used a waffle maker). Spread the basil avocado mayo on the slices of bread. Next, add a layer of salmon to the bread. Lastly, add a layer of mushrooms. 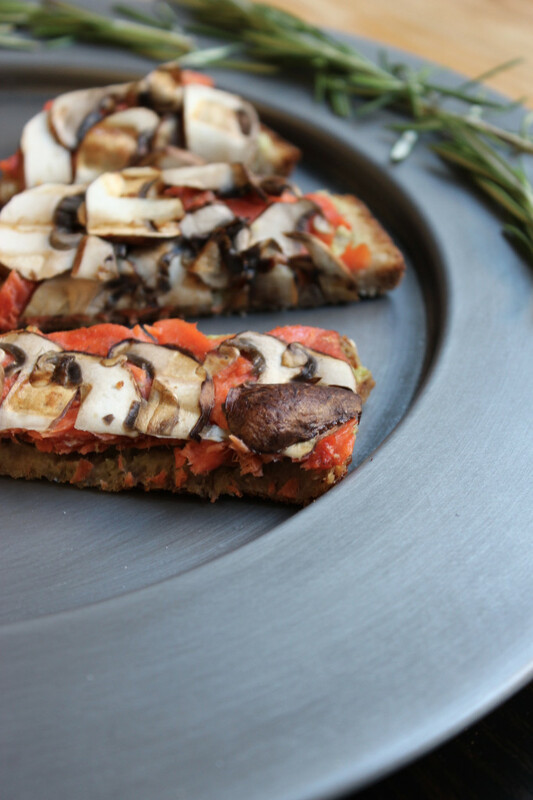 Place the tartine in your oiled panini maker or waffle maker and close the lid. Be sure you don’t smash the tartine though. Let cook for 5-6 minutes. 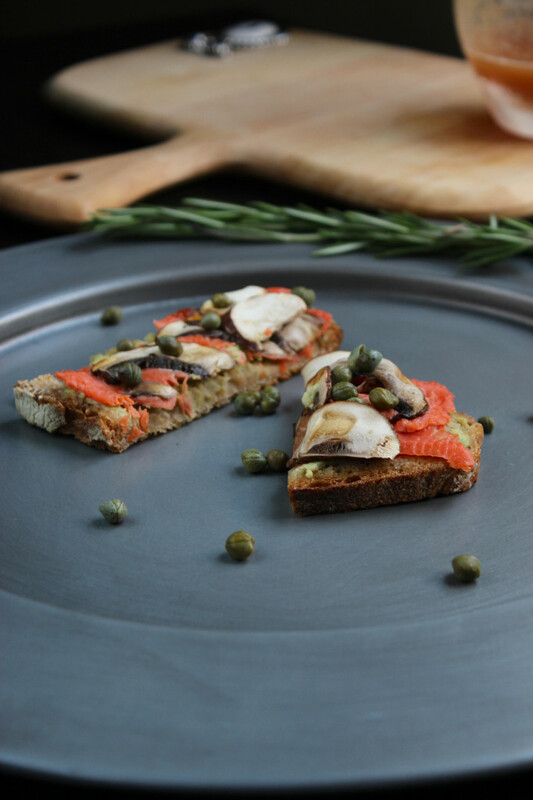 Top with fresh capers and enjoy! 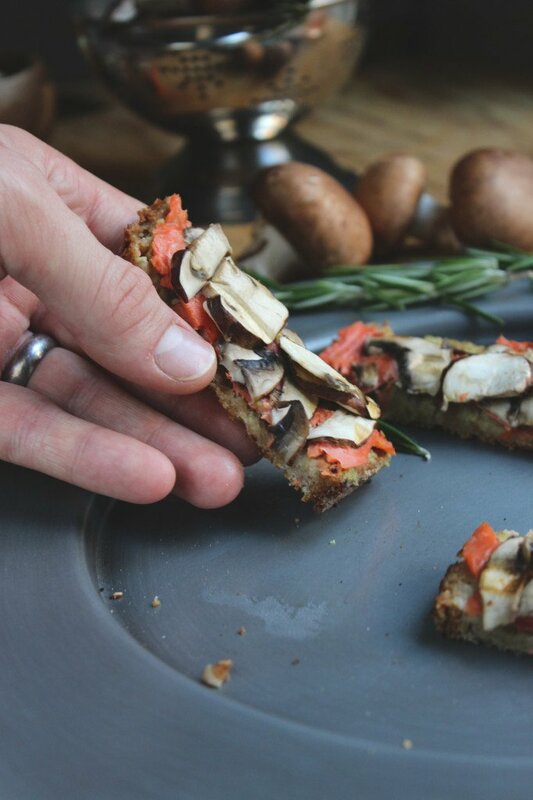 These do look amazing… Any thoughts on how to do it without a panini or waffle maker? Do you think throwing them under the broiler would work OK? You could definitely toast the bread in the oven. I would suggest 350º for about 10 minutes. It would probably help to spray or brush with olive oil before baking to keep it from burning. These look amazing. 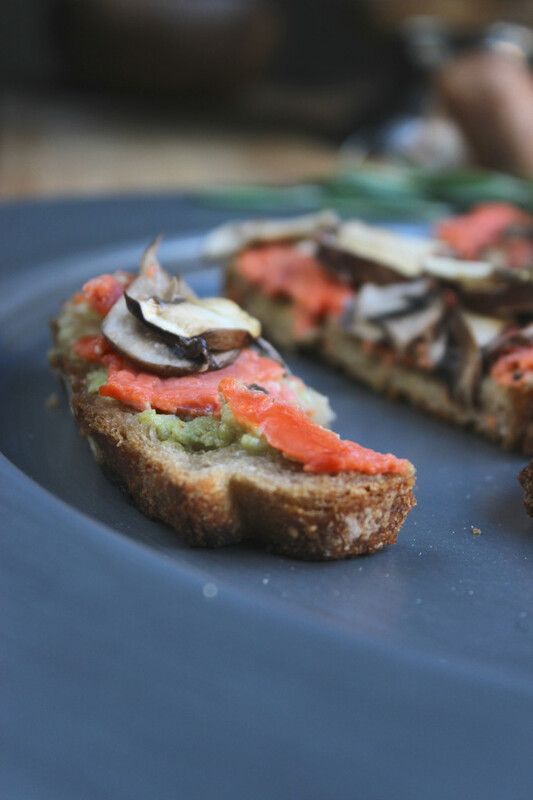 I’m in love with anything salmon and pairing it with mushrooms and avocado is brilliant.